My Godfather, “Kuya” Frank, passed away last October after a 4-year long battle with cancer and it struck a familiar feeling in my gut. My Dad passed away when I was 10 and the reailty of losing another father figure really hit me hard. 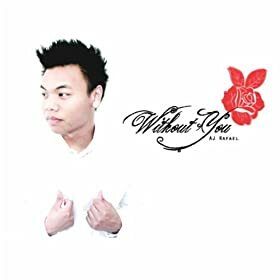 I wrote this song not about a death or losing someone to an illness, but about wanting to be with someone so bad that you couldn’t go another day without them– but this song spoke differently to my Kuya Frank’s wife Ate Rhea. She told me that she listened to this song as if it was Kuya Frank singing to her, fighting for her, and wanting to be there for her through all of this. Thus, the original concept for this video was born and it stuck in my head– and I pray that this video helps you realize that you are not alone in your struggle, whether it is you or a loved one going through it. Don’t forget to let your loved ones know that you love them… We never know what tomorrow might bring. You can get this song on off the Red Roses album. Also see other music videos with AJ Rafael: When We Say (Juicebox) and We Could Happen. The video was directed by Ross Ching. See some of his other works: Valentine by Kina Grannis, Offbeat by Clara C, and 3 Minutes.